The Oakland Raiders are in the midst of another losing season, less than a year after the franchise brought back Jon Gruden to lead them back into contention. What does this mean for Oakland Raiders betting odds? Find out below. With Gruden signed to a 10-year $100 million deal, the Raiders decided the best move was to fire general manager Reggie McKenzie, who has been with the team since 2012 and is responsible for the team drafting Derek Carr, Amari Cooper and Khalil Mack. Rumors of friction between Gruden and McKenzie began circulating shortly after the season started, but both men downplayed the rumors. McKenzie also called the rumors of a rift with Jon Gruden comical. “You talked about pulling the strings, and you know, Gruden and I, we work together very well,” McKenzie said at the time. “Let’s make no mistakes about it. Him pushing me out, that’s not happening. Me not being able to work with Gruden, that’s furthest from the truth. OK? We work really well together. “We’re in each other’s offices all the time. Talking about players, who’s up, who’s down. Who I would like to see play more. Practice squad guys. About moving this guy. Claiming this guy. Trading. Guys calling me about trading this guy — here’s what I think, what do you think? With McKenzie out as general manager, Gruden is now the man in charge in Oakland and will continue to put his stamp on the roaster after getting rid of a lot of the players that were drafted by McKenzie. One thing is for sure, Raiders fans better hope he has better luck than he did when he was in charge in Tampa Bay. 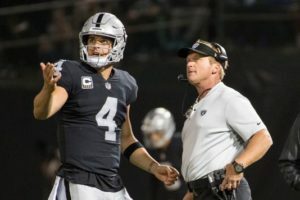 What does this mean for Jon Gruden and Oakland Raiders betting? Next season will tell. Ready for Bears Vs Rams betting? NFL Week 14 is here. The Chicago Bears will be trying to bounce back from their surprising loss to the New York Giants. When they take on the Los Angeles Rams on Sunday Night Football. The game will be played at Soldier Field on Sunday, December 9. It is scheduled to begin at 8:20 PM. ET. Also, we preview NFL playoff odds. The Rams managed to avoid an upset at the hands of the Detroit Lions in their last game. LA will be trying to hold on to the best record in the NFL when they play the Bears on Sunday night. Los Angeles will also be trying to win its fourth consecutive game and 12th win in its last 13 games. Can it be done? The Rams have been explosive on the offensive end this season. Averaging 35.4 points per game, which is third in the league. Jared Goff is having an MVP caliber season. Completing 67.7 percent of his passes for 3,547 yards, 26 touchdowns, and six interceptions. Todd Gurley II is also an MVP candidate, rushing for 1,043 yards and 13 touchdowns, while catching 43 passes for 441 yards and four touchdowns. The Rams have struggled defensively for most of the season but they played well against the Lions and will be hoping to do the same to the Bears this week. The Bears have been one of the biggest surprises in the NFL this season and currently sit on top of the NFC North. With the Minnesota Vikings still within striking distance, they will be trying to increase their lead in the division and cause some commotion at the top of the NFC playoff standings with a win over the Rams on Sunday night. Defense has been Chicago’s calling card this season, and the team is currently holding opponents to 19.2 points per game. 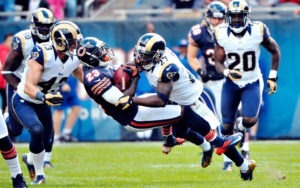 Even though they gave up 30 points to the hapless Giants on Sunday, expect the defense to bounce back against the Rams. Offensively, the Bears have struggled without Mitch Trubisky under center. The second-year quarterback has completed 65.4 percent of his passes for 2,469 yards, 20 touchdowns, and nine interceptions. Trubisky resumed light training last week and his teammates will be hoping he will be healthy enough to play against the Rams on Sunday. If he is able to play, they will have a better chance of beating the Rams. The Rams are favored to win this game by four points. The over/under on total points scored is not yet available. The Bears’ defense has been difficult to beat when they are at their best, but the Rams have shown they can put up points on any team. Take the Rams -4 in this game. 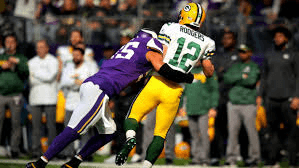 With plenty of rivalry games on the schedule this week, the Green Bay Packers and Minnesota Vikings will try to finish off what they started in week 2 when they face off on Sunday Night Football. The game will be played at U.S. Bank Stadium on Sunday, November 25. It is scheduled to begin at 8:20 PM. ET. Ready for some NFL week 12 betting? 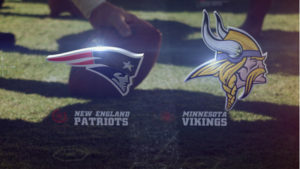 Complete Packers Vikings wagering odds next. The Packers currently find themselves in ninth place in the NFC playoff picture. Fortunately for them, the NFC is a mess this season and the Vikings currently hold the sixth seed, which means a win over Minnesota on Sunday night will move them ahead of the Vikings since their first meeting ended in a tie. Aaron Rodgers has been doing his part for the Packers. Completing 61.8 percent of his passes for 3,073 yards, 19 touchdowns, and one interception. However, the team failed to surround him with enough talent and traded away some of their best defensive players, which is why they have struggled this season. Rodgers will once again try to lead the team to a win but he will need his defense to step up and stop the Vikings offense. Does Rogers have it in him? The Vikings were favored to win the NFC North. This, after signing Kirk Cousins during the offseason. However, their offense has been inconsistent this season, which has cost them a few wins. They will be trying to bounce back from their loss to the Chicago Bears in their last game. Also, they will need to play well on both sides of the ball to get the win. Kirk Cousins has put up good numbers this season, completing 70.7 percent of his passes for 2,947 yards, 19 touchdowns, and seven interceptions. However, his tendency to hold on to the ball for too long has cost the team a few points this season. The Vikings have also been inconsistent on defense and will need to start playing better if they don’t want to miss out on the playoffs. The Vikings are favored to win this game by 3.5 points. The over/under on total points scored is 48. The Vikings have struggled on the road this season and have lost three of their last four games. 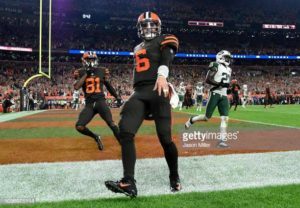 With the exception of their loss to the New England Patriots, they have been within striking distance in those losses so take them at +3.5. In conclusion, take the underdogs. 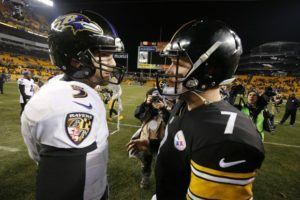 One of the biggest rivalries in the NFL will be renewed this week when the Ravens and Steelers face off. The game will be played at M&T Bank Stadium on Sunday, November 4. It is scheduled to begin at 1 PM. ET. View the latest Week 9 betting odds below. The Steelers have quietly bounced back. This is from their slow start. Also, once again look like one of the best teams in the AFC. This after winning three consecutive games and four of their last five games. They will be going for their fourth win in a row when they face the Ravens. James Conner has done a great job filling in for Le’Veon Bell, who still hasn’t reported to the team because of a contract dispute. Conner is currently third in the league with 599 yards and second with nine touchdowns. Therefore the Steelers will be trying to get some payback for their loss to the Ravens in week 4, but they will need to do a better job on the offensive end, after finishing with 14 points in that game. Their defense has been playing better in recent weeks and will need to keep pressure on Joe Flacco to give themselves a chance to win the game. Can he do it? NFL Week 9 betting odds continued. The Ravens have struggled over the past month, losing their last two games and three of their last four games. They will try to snap their losing streak against their division rivals, but they will have a tougher time defeating the Steelers, who are looking very good right now. The Ravens jumped out to a 3-1 start to the season thanks to the best defense in the league. However, their defense hasn’t lived up to the hype in recent weeks. After their 11-sack performance against the Tennessee Titans, the Ravens have given 60 points in their last two games and won’t get a win over Pittsburgh if they can’t keep the Steelers under 30 points. Offensively, the Ravens have been inconsistent but they have been able to put up points. They will need to throw the ball effectively against the Steelers to move the chains in this game. Rather then, the Ravens are favored to win this game by three points. The over/under on total points scored is 47.5. Even though the Ravens are playing at home, the Steelers are the better team at the moment and they will be trying to increase their lead over the Cincinnati Bengals in the AFC North, so take Pittsburgh +3. Up next for Week 8 we have Jaguars Vs Eagles. For the third consecutive week. The NFL will play a game in London, England. This time around, the Jacksonville Jaguars will take on the Philadelphia Eagles. This is in a battle of teams that have underachieved this season. The game will be played on Sunday, October 28 at Wembley Stadium. Also, it is scheduled to begin at 9:30 AM. ET. The Eagles came into the season hoping to win the Super Bowl in consecutive years. However, they haven’t looked anything like the team that won the championship last season. After snapping a two-game losing streak with a win over the New York Giants. The Eagles fell to the Carolina Panthers in their last game and will try to rebound from the loss with a win over Jacksonville. Philadelphia’s defense continues to play well. They held opponents to 19.7 points per game. Which is sixth in the league. However, their offense, which was one of the best in the league last season, hasn’t played as well this season, averaging 22 points per game, which is 22nd in the league. One of the reasons the Eagles have struggled offensively is injuries to their running backs. Darren Sproles is dealing with a hamstring injury that has kept him out of the last six games, while Jay Ajayi is out for the season after suffering a back injury. With LeGarrette Blount leaving for Detroit in the offseason, the Eagles don’t have an experienced running back on their roster, which has forced the team to rely on Carson Wentz more than they would like to. If the Eagles can run the ball effectively, they will be able to get the win over the Jaguars. The Jaguars were expected to contend for the Super Bowl this season. After seven games, they are 3-4 and don’t seem to be on the same page. 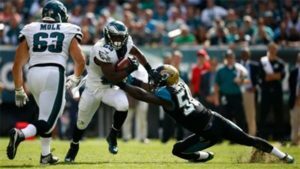 The Jaguars have lost three straight games and they will be trying to avoid losing their fourth consecutive game when they face the Eagles on Sunday. Jacksonville’s defense, which is supposed to be one of the best in the league, has given up 90 points in their last three games. They will need to bounce back against an Eagles team that is also struggling if they want to have a chance to win this game. The Jaguars have also struggled offensively. Most of which is due to the fact that they currently don’t have a running game and have an offense that was built around the run. With Leonard Fournette sidelined with an injury. The team traded for Carlos Hyde, who they hope can help their running game. Blake Bortles was benched in the second half of their loss to the Houston Texans. However, he will likely get the start on Sunday. If he avoids turning the ball over, the Jaguars should be in good shape. What does this mean for the Jags? In conclusion for Week 8 NFL Jaguars vs Eagles. The Eagles are favored to win this game by three points. The over/under on total points scored is 41. The Eagles are playing better than the Jaguars right now and should be able to take advantage of Jacksonville’s struggling defense. Take Philadelphia -3. 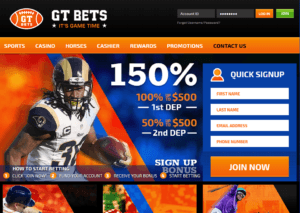 Welcome to the home of wagering on NFL Week 7. Preview the latest Panthers vs Eagles betting odds. 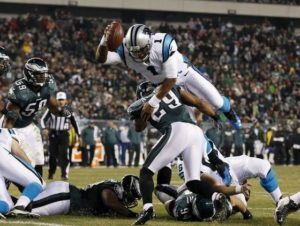 The Carolina Panthers and Philadelphia Eagles will meet in what could be a preview of an NFC playoff matchup. Game at Lincoln Financial Field on Sunday, October 21. The game is scheduled to begin at 1 PM. ET. The Panthers are coming off a disappointing loss to the Washington Redskins. Also, in a game that wasn’t as close as the final score indicated. The Panthers fell behind quickly and never recovered, keeping them winless on the road this season. Cam Newton and his teammates will try to snap their two-game road losing streak against the Eagles. However, they will have a tough time doing so against a Philadelphia team that looked good offensively in their last game. The Panthers struggled to run the ball against the Redskins and will need to do a better job on the ground against the Eagles because it will give them much needed balance. If they struggle to run the ball, they will make life easier for the Eagles’ defense, which will harass Newton all game long. If they run the ball successfully they will be able to keep the Eagles’ defense at bay and move the ball better than they did against the Redskins. The Eagles are trying to win two consecutive games for the first time this season and have the tough task of trying to get it done against a Carolina team that will be trying to bounce back from their loss to the Redskins. Carson Wentz has looked comfortable since his return to the lineup and finished with 278 passing yards and three touchdowns against the New York Giants in their last game. 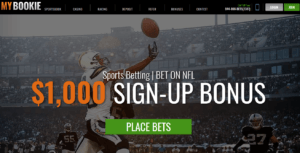 Enjoy wagering on NFL week 7. With Jay Ajayi done for the season, the Eagles finished with 108 yards and one touchdown on 31 carries. The team is reportedly actively seeking a trade for a running back to replace Ajayi, but they likely won’t want to give up a lot unless they can land a back like Pittsburgh’s Le’Veon Bell. With the Panthers coming to town, Philadelphia’s defense will need to figure out how to slow down Newton, who can beat them with his arm and legs. The Eagles are favored to win this game by four points. The over/under on total points scored is 45.5. With the exception of their win against the Giants, the Eagles have been involved in a lot of close games this season. Expect that trend to continue on Sunday when they play Carolina, so take the Panthers +4. That concludes wagering on NFL week 7. Panthers vs Eagles betting odds update. The LA Rams will be going for their fifth consecutive win. This is when they take on the Seattle Seahawks this week. Take note for betting on NFL Week 5. The game will be played on Sunday, October 7 at CenturyLink Field. It is scheduled to begin at 4:25 PM. ET. The Rams have lived up to their offseason hype. They won their first four games of the season. The team has looked impressive on offense. Scoring 35 points per game. However, they still have plenty of work to do on defense. This is after giving up 55 points in their last two games. Quarterback Jared Goff has been great in their four games. He has completed 72 percent of his passes for 1,406 yards. Also, 11 touchdowns, and two interceptions. If he keeps up the pace he will be one of the favorites to win the MVP award. The Rams have had success against the Seahawks in the past. Also, and they will go into this game with a lot of confidence. Goff should be able to put up big numbers against the defense. This is after the Hawks lost Earl Thomas to a broken leg in Sunday’s win over the Arizona Cardinals. Los Angeles’ defense, which has struggled in their last two games, should be able to keep Seattle’s offense in check. This is so because the Seahawks have one of the worst offensive lines in the league. The Seahawks are currently 2-2. Which is good for second place in the NFC West. They will be trying to prevent the Rams from increasing their lead in the division, which is easier said than done these days. Enjoy these betting on NFL week 5 picks. Offensively, the Seahawks have struggled this season, averaging 21.3 points per game, which is 24th in the league. Their defense, which has been their strength in the last few years, is a shell of its former self and things got worse this week with Thomas’ injury. Russell Wilson has done his best to keep the Seahawks in games this season, but he is running for his life behind a bad offensive line, which is why he has fumbled the ball six times in four games. The Seahawks are averaging 196.5 passing yards per game, which is 29th in the league, and 105.5 rushing yards per game, which is 16th in the league. With the Rams coming into town this week, the Seahawks will need the crowd at the Clink to be as loud as they’ve ever been and their defense to step up and slow the Rams offense down. The Rams are favored to win the game by 7 points. The over/under on total runs scored is 49.5. The Rams are the second highest scoring team in the league and they will be able to score against Seattle’s defense. They will extend their streak of scoring 30 or more points this week and the Seahawks won’t be able to keep up with them. Take Los Angeles -7. In conclusion, betting on NFL week 5 is simple. Bet on the LA Rams to win this game and make it to Super Bowl 53. To check out NFL futures bets visit our Super Bowl odds page. Ready for some Saints Falcons NFL betting? NFL Week 3 is here! The New Orleans Saints and Atlanta Falcons will renew their rivalry. They face off in the first of two matchups this season. The game will be played at the Mercedes-Benz Stadium in Atlanta on Sunday, September 23. It is scheduled to begin at 1 PM. ET. The Saints were able to bounce back from their season-opening loss to the Tampa Bay Buccaneers. With a win over the Cleveland Browns. Also, they will be trying to make it two wins in a row when they play the Falcons. Drew Brees continues to play at a high level. Brees followed up his 400-yard performance against the Buccaneers with a solid effort against Cleveland, completing 28 of 35 passes for 243 yards and two touchdowns. However, the Saints are still struggling to run the ball and finished the game with 62 yards on 23 carries. The team will need to do a better job getting their ground game going to prevent the Falcons from sending blitzes at Brees all game. The Saints’ defense also did a good job against the Browns, giving up only 234 passing yards after letting Ryan Fitzpatrick throw for over 400 yards last week. If their defense plays like it did against the Browns and Brees continues to play at a high level, the Saints will be able to get the win over their rivals on Sunday. After taking a lot of criticism for his performance against the Philadelphia Eagles in their season opener, Matt Ryan responded with a solid effort against the Carolina Panthers in week 2. Ryan finished the game completing 23 of 28 passes for 272 yards, two touchdowns, and one interception. Ryan also made some plays with his feet, finishing with 18 yards and two touchdowns on four carries. Atlanta’s running game was also effective, despite Devonta Freeman missing the game with an injury. The Falcons finished with 170 yards and two touchdowns on 32 carries, led by Tevin Coleman, who rushed for 107 yards on 16 carries. The Falcons will need another balanced offensive attack. This is if they want to hand the Saints their second loss of the season. Also, take sole control of second place in the NFC South. With that said, the Falcons are favored to win this game by 3 points. The over/under on total points scored is 53. Therefore, since this is a rivalry game, expect to see a close contest. 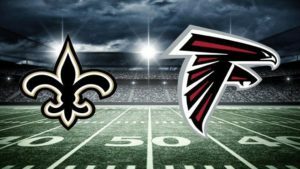 However, since the Falcons are at home and the Saints offense relies heavily on Brees, expect the Falcons to bring pressure and try to force some turnovers, which should help them get the win. Take the Falcons -3. In conclusion, we hope you enjoyed these Saints Falcons NFL betting odds. Do The Pittsburgh Steelers Need LeVeon Bell? The Pittsburgh Steelers were unable to come to terms on a new deal with running back Le’Veon Bell. This forced the team to use their franchise tag on him for the second consecutive year. Bell, who wasn’t happy about the team not meeting his contract demands. He refused to sign the franchise tag and hasn’t reported to the team since the end of last season. Bell’s absence cause a rift with his teammates. Steelers who questioned his desire to be with the team and for letting them down. His absence also caused many to wonder if the Steelers will be ab le to make a deep playoff run without one of the best playmakers in the league. With LeVeon Bell refusing to report to the team, the Steelers decided to go James Conner, whom they drafted last season but got limited playing time behind Bell. Conner started in Bell’s place against the Cleveland Browns in their season opener and the second-year man looked good. Conner finished the game with 135 yards and two touchdowns on 31 carries. He also had five receptions for 57 yards. Leveon Bell might be out of a job. With Conner looking impressive against a good Browns defense, many fans took to social media to praise their young running back and tell the team to let Bell walk. Since Conner has started only one game, it is still too early to tell if he can fill Bell’s shoes, but Steelers fans believe he can and don’t see any reason for the team to pay Bell’s asking price. Since the NFL season is still young and injuries do happen, the Steelers are better off taking a wait and see approach. If Conner continues to play well and stays healthy, the Steelers won‘t need Bell anymore and can try to sign and trade him for some compensation. They can also keep him around for insurance if Conner gets hurt, but they will lose him in free agency and won’t get anything back in return. In conclusion, one thing that’s for sure in the situation is the better Conner plays, the less leverage Bell has when it comes to his contract negotiations with the Steelers. LeVeon Bell needs to sign.